The HTC 10 launched with a $100 discount right off the bat but then went back up to its official price of $700. 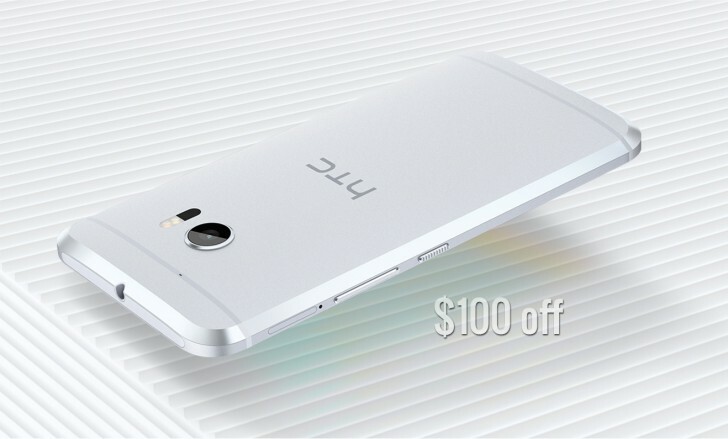 Well, it's down to $600 again, available on HTC.com. You can buy the Unlocked version (compatible with AT&T, T-Mobile and virtual carriers that use their networks), the Verizon and Sprint versions too, all cost $600. The Carbon Grey color is available exclusive on HTC's website. This offer is valid until the end of the month and you can buy up to 4 HTC 10s. You can pay with PayPal Credit if you wish and you get free Uh Oh Protection - if you crack your screen up to 12 months after you buy the HTC 10, you get a free replacement (water damage is also covered). This deal is valid until the end of the month. Canada, Europe and other regions still have to pay the full price.